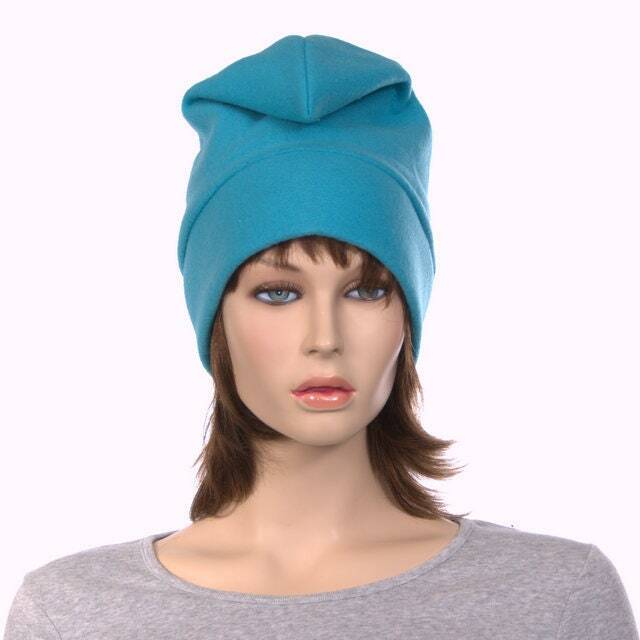 Turquoise Phrygian cap made of soft fleece. 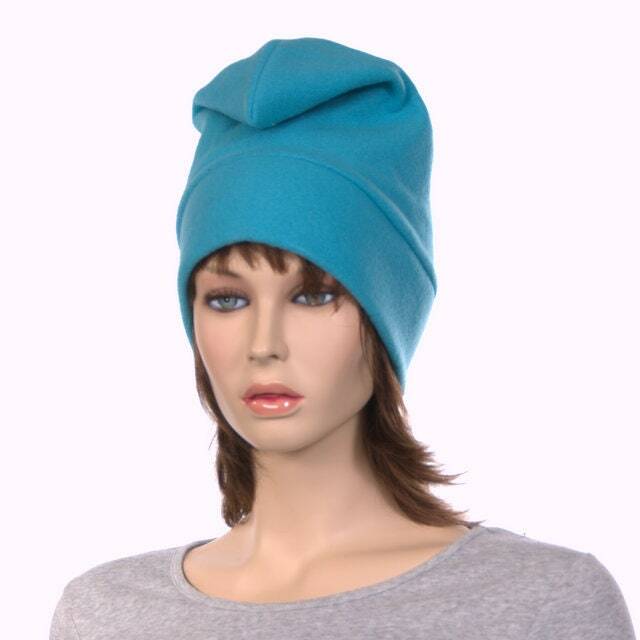 This hat is design so that the point slouches forward. Made in a traditional style. 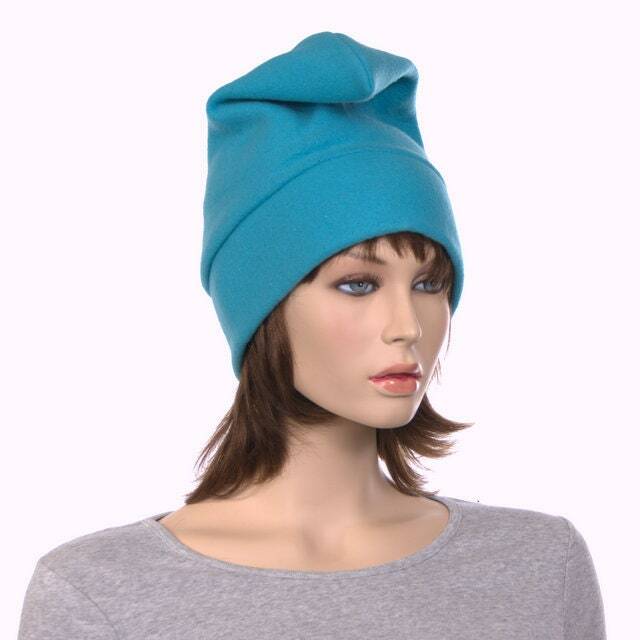 Wear as a liberty cap or a gnome, elf, dwarf or you favorite character. 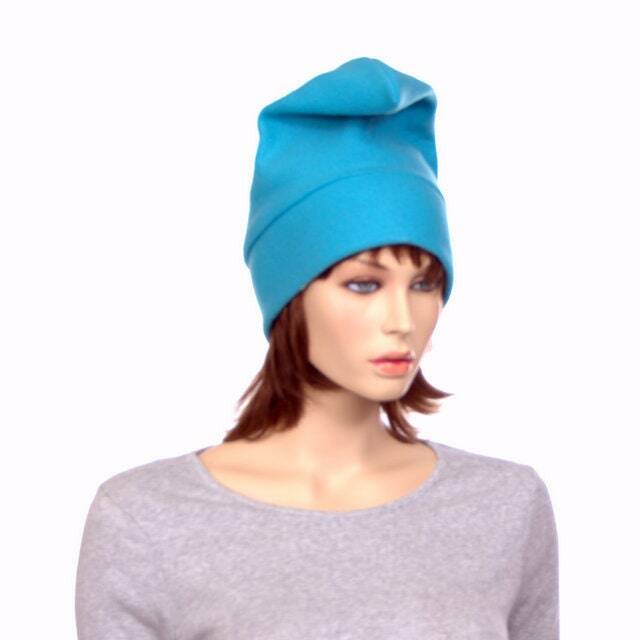 One size fits most adult with heads measuring 22-24 inches, other sizes can be made on request. 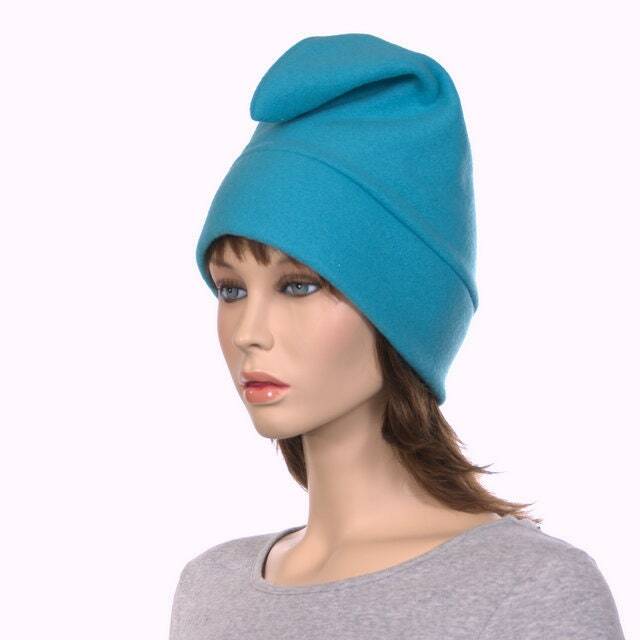 Can be worn so the peak stands or can be slouched forward.